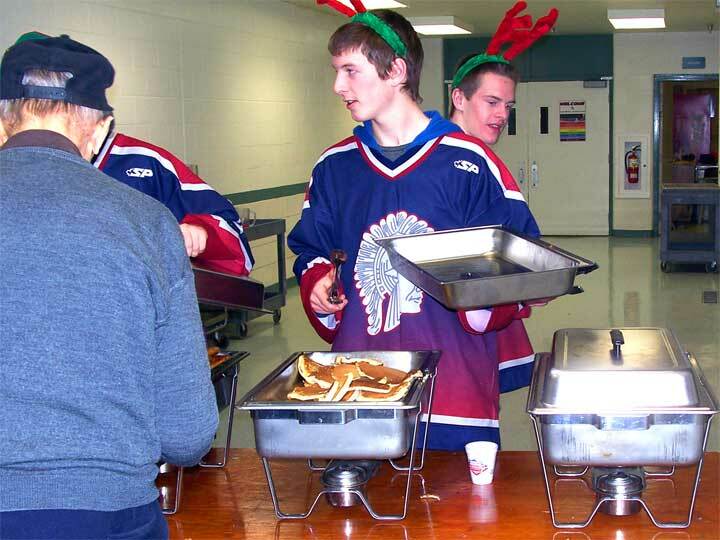 This past Saturday morning it was pancake breakfast time as the Tisdale Trojans pitched in with their annual charity breakfast. 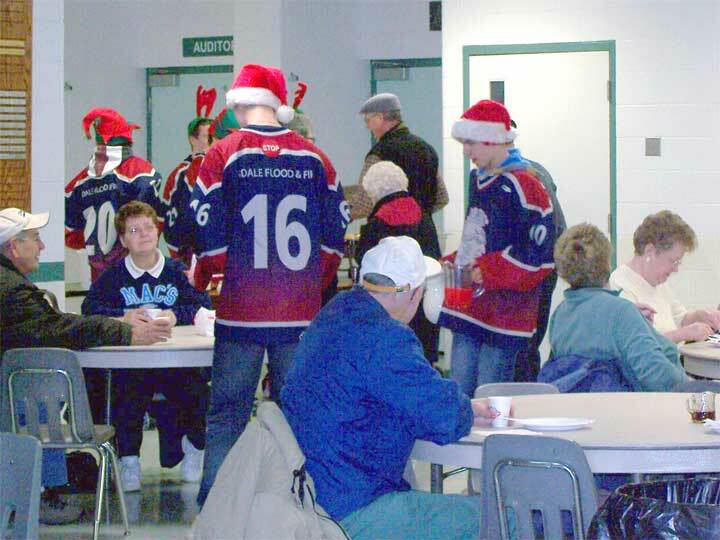 For the first time the event was held in the RECPlex as in the past it had been held at the Beeland Co-op. 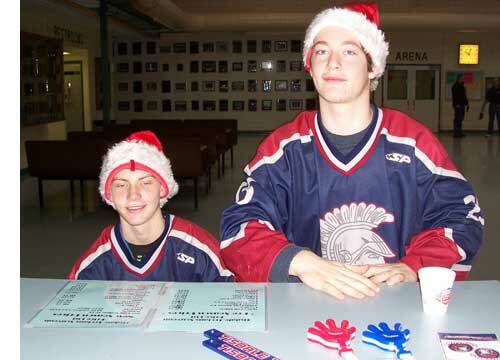 The Co-op continued its tradition by sponsoring the event and the Trojans did the work. 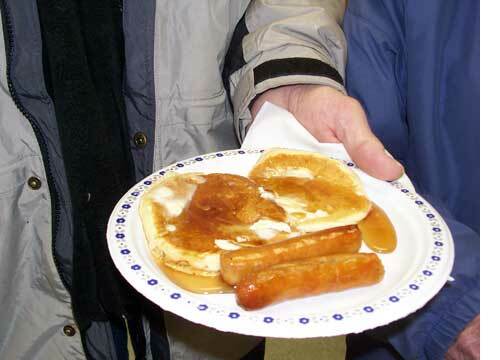 Serving up pancakes, sausage, coffee and juice from 8:30 until 10:30. The proceeds from this project all go to the Tisdale Salvation Army to assist them in making up this year's Christmas hampers for families in need. The Trojans had quite a time on the ice. They played the league leading Notre Dame Hounds on Saturday night in a very close game. End to end fast skating play and outstanding goal tending by Blake Voth as the Hounds have a wild break away play. The game ended with the Trojans winning 4 - 3. On Sunday they played the Yorkton Harvest who are third from the bottom in the league compared to Tisdale firmly in second place. But Sunday the Harvest was in the grove and played all out to gain a 1 - 1 tie with the.